Ballet Quad Cities was established as a professional ballet company in August 2001. Since its inaugural season, the company has delighted audiences and critics alike with its exuberant productions that are beautifully staged with vivid sets and costumes. 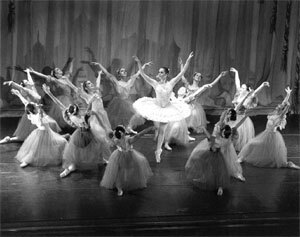 The company produces four productions each season – usually two full-length, classical, storybook ballets and two contemporary programs. At least one production each season is performed to live music. Acclaim includes the following: “Ballet Quad Cities is an Arts Miracle” (Dan Tulley, Viewpoints, Rock Island Argus); “Ballet Quad Cities and its artistic director have succeeded brilliantly in bringing Anne Frank’s story to life through dance” (Joanna Welzenbach-Hillard, RiverCities Reader); and “Ballet Quad Cities’ version of Cinderella sparkles with light and energy. Don’t miss this unforgettable performance” (Ruby Nancy, Quad City Times). With imagination, energy, and passion, our professional dancers at Ballet Quad Cities create memorable and enriching arts experiences for young audience members through special school performances and educational programming. Dynamic and innovative choreography introduces ballet to students in an exciting way, while original productions such as From the Pages of a Young Girl's Life (a ballet about Anne Frank) and Romeo and Juliet 21st Century (an engaging contemporary ballet based on Shakespeare’s play) help you to use the performing arts to teach school curriculum. Special educators guides and lecture demonstrations prepare your students for performances and integrate the experience into the classroom work. In-school residencies cater to the needs of your school to familiarize students and teachers with dance as an art form and learning tool.